Did you miss the Mentor Public Library’s April 20 Community Paper Shred Day? Not to worry: Carver Financial Services, Mentor’s nationally recognized financial services organization, has once again teamed up with Northcoast Shredding Services to help you get rid of those vulnerable, sensitive, confidential documents — the cancelled checks, health information, credit card statements and other records that are so attractive to the wrong people. 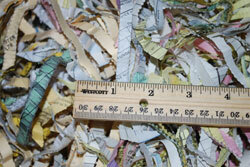 Shredded documents will be sent to a paper mill and recycled. Northcoast Shredding Services will have a mobile shredding unit on-site. Once they have shredded your documents, the shreds will be sent to a paper mill and properly recycled. The shredding service is free, but Carver Financial Services will be accepting donations of non-perishable food items for local food banks. For more information, see the Carver Financial Services website. 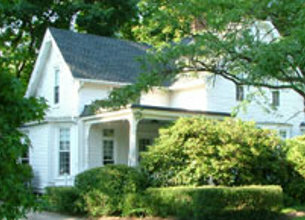 Friends of the Mentor Public Library will offer all new inventory at their $5/bag book sale at the Read House, on Mentor Avenue next to the Main Library (map). Book sale hours on Saturday, April 27 are 9 a.m.–4 p.m. Proceeds from the sales help support library programs and facilities, and every purchase from a Friends of the Library book sale is an exercise in reducing, reusing and recycling. Parking is available behind the Main Library (map) and in the library’s auxiliary lot at the corner of Sharonlee Drive and Mentor Avenue (map). Shop recycled at the Friends of the Mentor Library book sale: Save money, pick up some great summer reading and help keep books and magazines out of the landfill. If you’re not already composting, now is a great time to start planning to give your garden the gift of homemade organic soil nutrition. You’ll save money you’d spend on chemical fertilizers, and you’ll keep food waste out of the landfills and sewage treatment plants. The Cuyahoga County Solid Waste District is offering Backyard Composting seminars at locations throughout the county during the 2013 growing season. These hour-long seminars include an extensive introduction to composting — what to compost, how and where to build a compost pile, problems to watch for and how to solve them — followed by a question-and-answer session. For a list of seminar locations and dates, as well as a set of downloadable documents covering backyard composting, vermicomposting, and backyard food digesters, see the Solid Waste District web site. You’ll also find instructions for obtaining free horse manure to enrich your compost pile. The Solid Waste District also offers for sale two sizes of compost bins and a kitchen collection container. These are available for purchase at the seminars and at the Waste Management District at 4750 E. 131 Street in Garfield Heights. Composting: turns waste into food … keeps it out of the waste stream … keeps it out of the landfill.